Happy Easter everyone! I hope you are all having a brilliant Easter Sunday, enjoying chocolate aplenty, family time and a chance to sit back and relax. I'm putting on a big buffet for the fam which is exciting - although I think I might have gone a tad OTT on the food! Anyway, onto today's post! 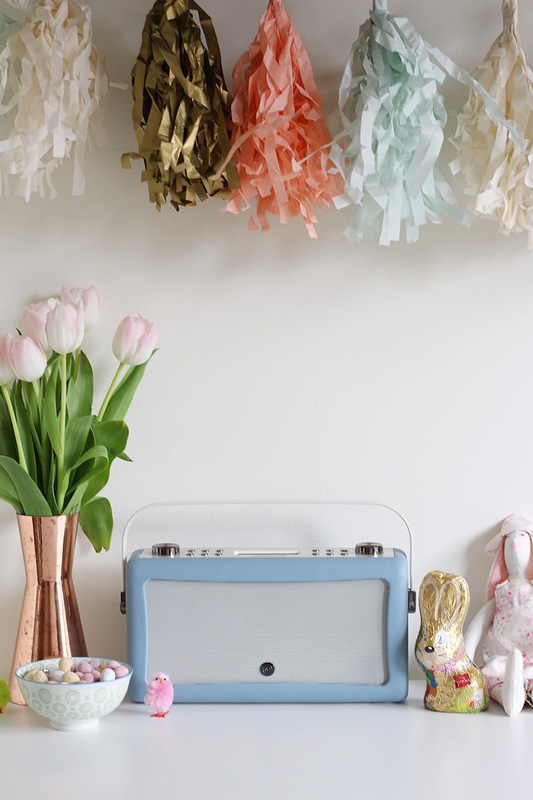 The lovely people at VQ got in touch with me recently about collaborating on an Easter post, and as soon as I laid eyes on the website (I'd not previously heard of the brand) I was in heaven. 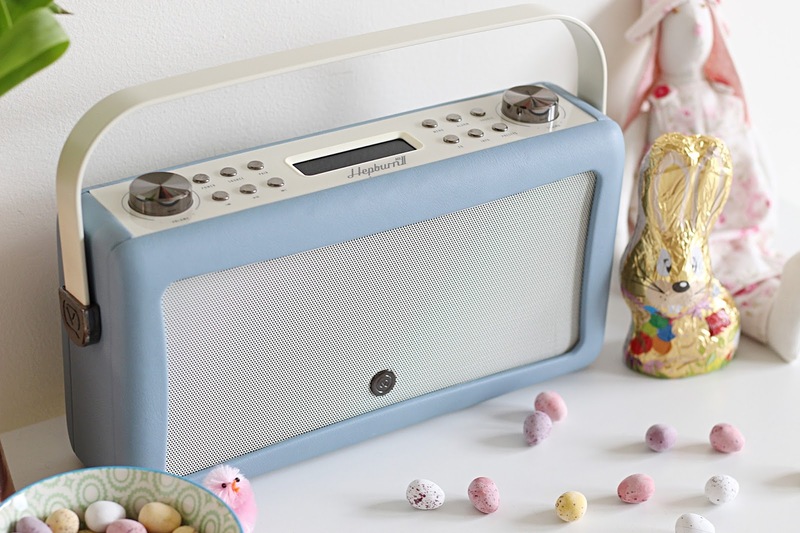 I have wanted a pastel, retro-style radio for as long as I can remember, so when I saw that VQ specialise in gorgeous radios, with a whole host of retro styles, I was sold. After quite a lot of deliberating (there are just SO many nice styles) I decided to opt for the Hepburn Mk II*, in this gorgeous duck egg pastel blue. For me, it's the perfect mix of modern and retro and oh my god - it looks SO good in my office. The radio isn't just your bog-standard radio either - it features DAB (something I've never had before, so that was exciting in itself! ), DAB+, FM and even has Bluetooth. This is a huge plus for me, as I have Spotify Premium as I listen to music so much, so it's nice to be able to hook the radio up to my phone via Bluetooth and listen to pretty much anything. I think it's going to help a lot when it comes to working from home as it can be so quiet in the day and can get a bit lonely, but having music on always makes me 10000x happier (and more productive!). I'm also thinking it's the perfect opportunity to catch up on some podcasts when I'm working - my personal fave is Emma Gannon's Ctrl Alt Delete - you NEED to check it out if you haven't already! 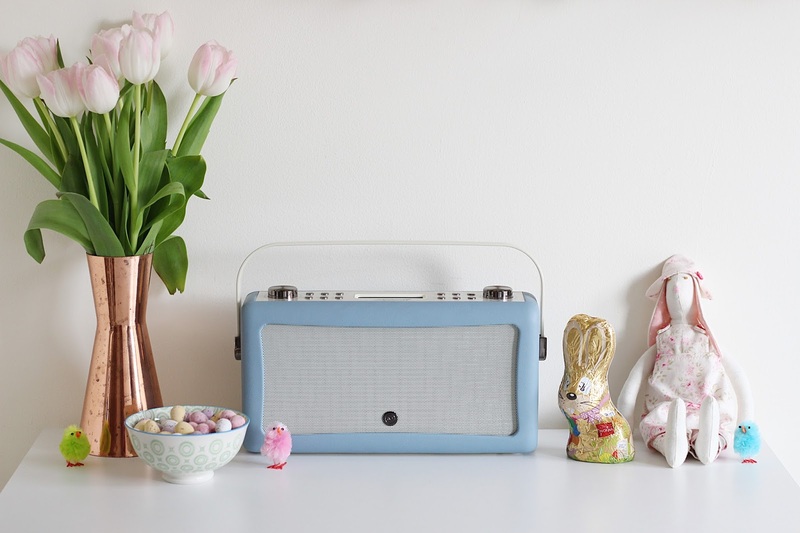 So yeah, not only does this radio look absolutely blimmin' adorable (just how cute does it look in my Easter set-up!?) but it also sounds amazing and has so many awesome features. There's also an optional rechargeable battery pack so you can literally take it anywhere, or have it anywhere in your home, without having to worry about plugging it in. Another huge bonus - perfect for picnics in the summer! If you're interested in buying one of these B-E-A-utiful radios, I have an amazing discount code for a whopping 20% off! Just use the code 'FAIRIES20' before the end of May to get your discount! Happy shopping! What do you think to my new radio? I'm totally in love with it!